Camping Lake Maggiore - looking for a campsite? Search here! Lake Maggiore is a serpentine body of water which stretches for no less than 65 kilometres between the Italian regions of Locarno and Arona. Bordered by the Swiss Alps, those who have been searching for a luxury camping experience will not be disappointed. LUX-Camp is happy to provide further details upon request. Why Should I Camp at Lake Maggiore? Access to numerous holiday camping resorts. 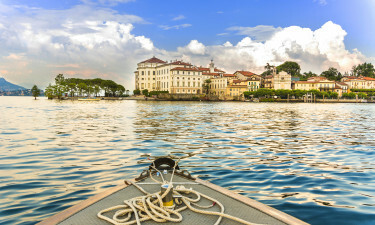 Tranquil towns such as Baveno, Stresa and Lesa to enjoy. An average lake temperature of 20ºC. 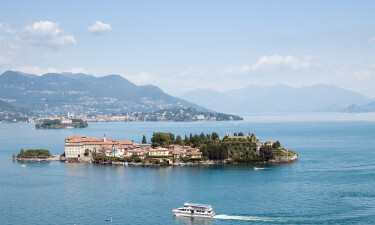 Lake Maggiore was primarily formed as the result of glacial run-off, therefore, its waters are quite clean and clear. This has also enabled the beaches here to be composed of extremely fine sand. Although snowfall is sporadic, higher elevations are perfect for those who enjoy skiing during their holiday camping experience. There are likewise numerous resorts which provide a wide spectrum of modern amenities alongside accommodations such as luxury tents, mobile homes and bungalow tents. Many visitors have touted the amazing facilities offered at Valle Romantica. Not only are 188 pitches able to accommodate the needs of every patron, but other unique benefits such as food provision centres, a laundrette, baby changing rooms and 36 individual washing cubicles are able to provide all of the comforts of home. Situated on no less than 50,000 hectares of land, this luxury camping resort is found only 0.2 kilometres from the shores of Lake Maggiore. The beaches at Lake Maggiore should not be missed. A few of the most prominent are Tronzano, Zenna and Verbania. 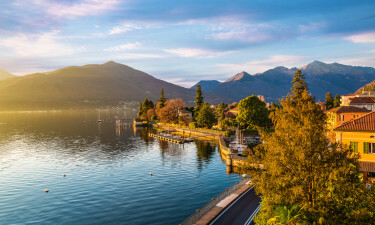 All of these have achieved the vaunted "Blue Flag" status in terms of the cleanliness of their waters, not to mention the natural sights surrounding Lake Maggiore, which are just as impressive. The Wildlife Oasis of Macugnaga and Fondotoce Nature Reserve provide unparalleled views of the nearby flora and fauna. There are also World Wildlife Federation tours which will take visitors to other protected areas including the Pian dei Sali and the Bosco Tenso (both found within the Vigezzo Valley).